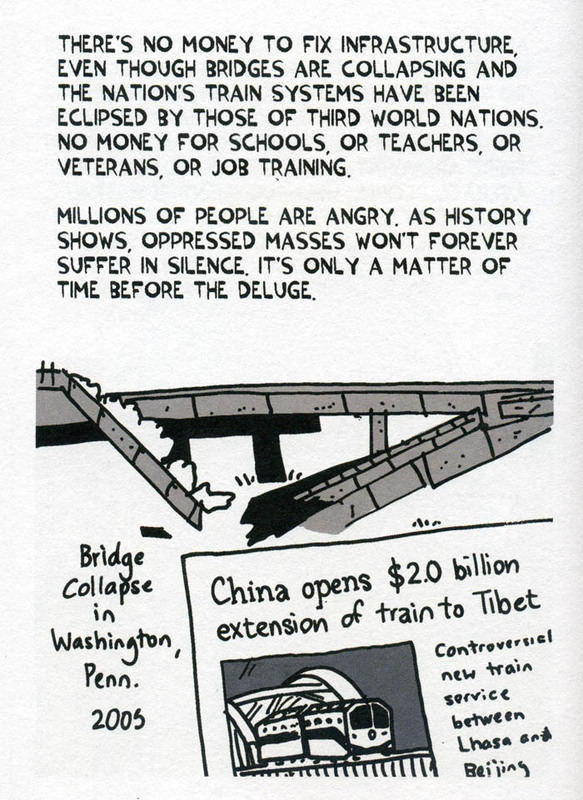 “Bernie,” the new graphic biography by Ted Rall, published by Seven Stories Press, is a brilliant portrait of the celebrated iconoclast. 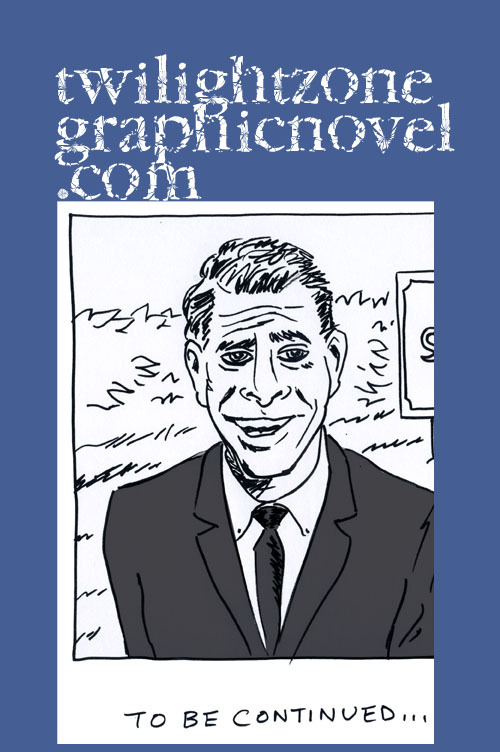 Following up on his graphic biography of Edward Snowden, Ted Rall has found a kindred spirit in Bernie Sanders. Something broke in the American political system at the end of the Sixties and we have been grappling with that ever since: the demise of liberal activism and the ascent of corporate influence. We see that debate raging in this year’s presidential campaign. Hillary Clinton represents the centrist Democrat; Bernie Sanders represents a way back to progressive values. Rall not only makes a case for Sanders but, in the process, shows us how far afield the American political system has gone and why it is vital to regain balance. 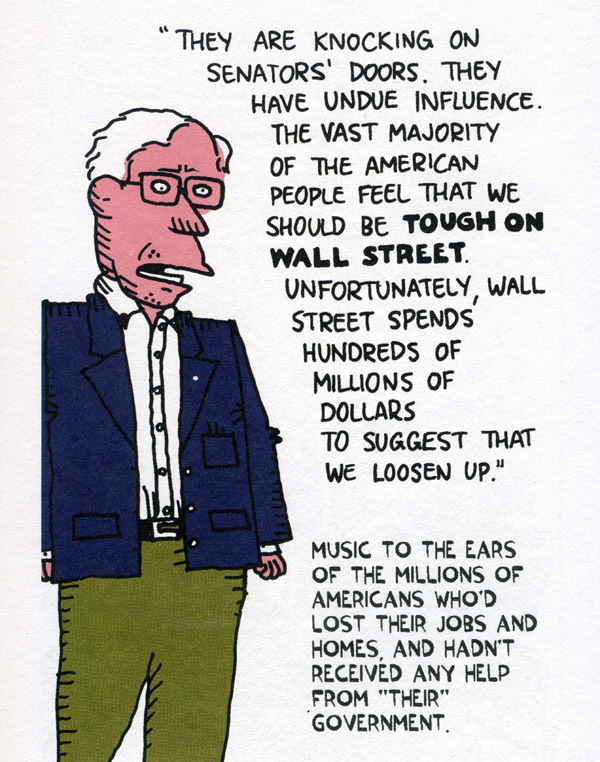 Ted Rall and Bernie Sanders both do not mince words and get to the point: the American middle class is being shrunken out of existence. The American political system is out of whack. Billionaires rule. The common man is left out in the cold. So, where do we go from here? 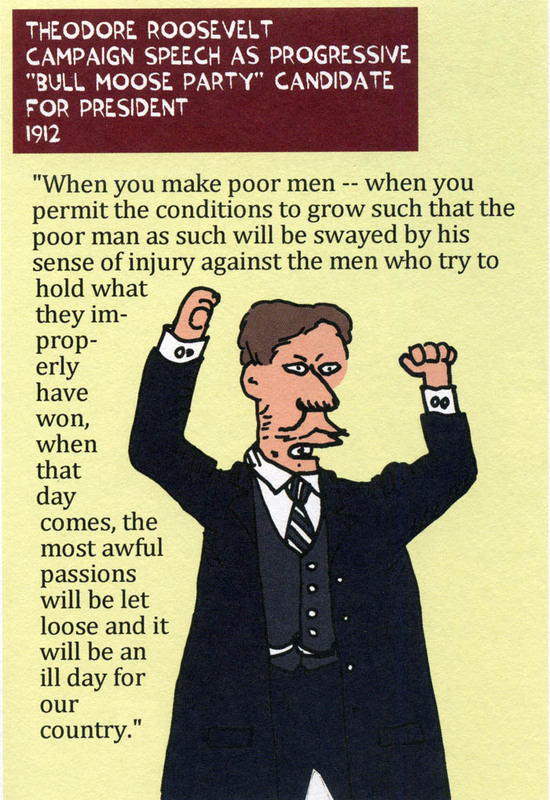 Whatever your political affiliation, it is hard to make a case for the established way of doing things. Rall begins by looking back at how we got where we are. Rall points to the death of American mainstream liberalism with the stunning and utter defeat of Democrat George McGovern to Republican Richard Nixon in 1972. From that point forward, Democrats made a decided turn to the center right. Not only did Democrats abandon pursuit of social programs and saving the environment, they found themselves scrambling to hold onto past accomplishments. In the meantime, the right-wing of the Republican party became toxic. In the spirit of America’s robust liberal history, there emerges a voice that finds many ears, Bernie Sanders. Rall makes the case that with the Great Recession, Bernie Sanders and his vision, is more relevant than ever. Rall’s simple drawing style is quite effective in keeping to a steady pace. As always, he cuts to the chase and provides numerous examples to make his point. Rall speaks eloquently to anything an Occupy Wall Street protestor might want to share with the public. In the end, as divisive and distracting as politics is, there are some humbling facts to consider. Does anyone really want to see their government in the hip pocket of big business and needlessly avoiding investing in its citizens and infrastructure? Rall makes a strong case for a Bernie Sanders candidacy and what it means. Even if establishment Democrats are resistant, Sanders is paving the way for a return to progressive values. Sanders isn’t planning to change the Democratic Party but his involvement now, in 2016, is the start of a new wave of involvement. Whatever the outcome, the rise of Bernie Sanders is significant. “Bernie” is a 205-page paperback available now. 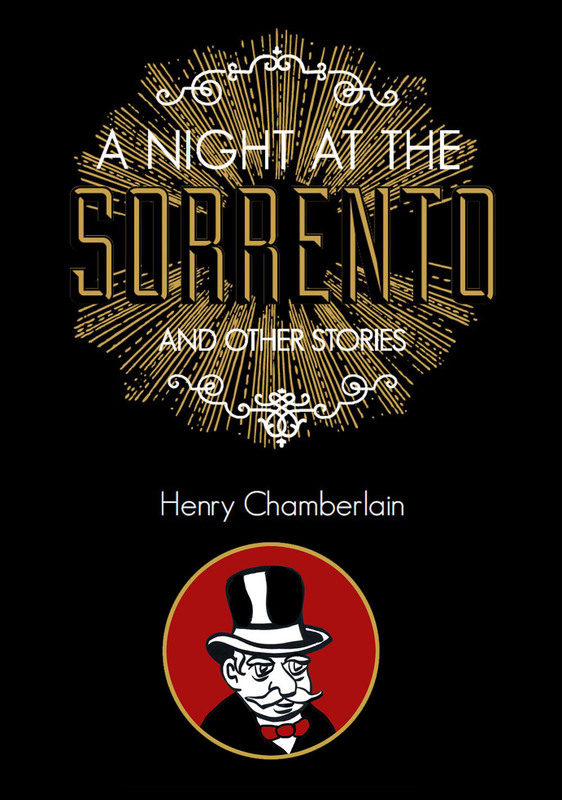 For more details, visit our friends at Seven Stories Press right here. 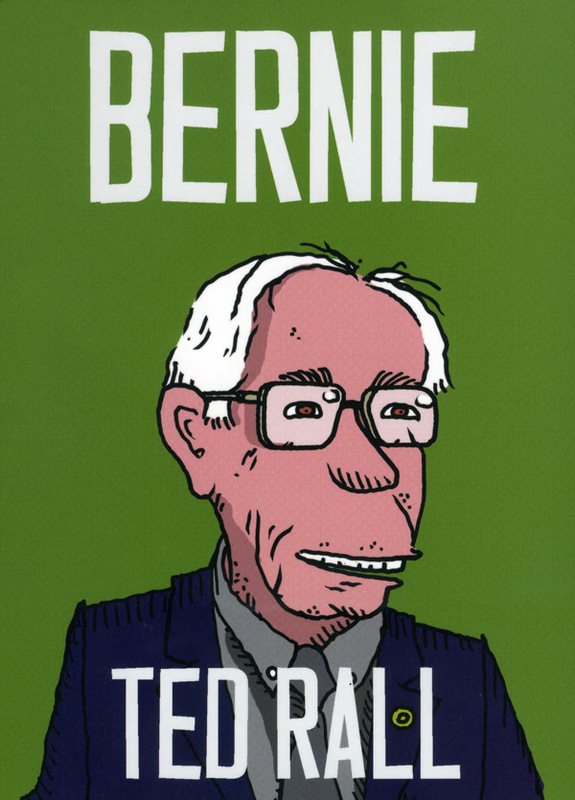 “Bernie” is a graphic biography by Tedd Rall, political cartoonist and graphic novelist. Beautiful and to the point! Everyone should read this book, no matter what your political views are. Reading your review and the extracts form the book, I was struck by so many parallels with where we find ourselves politically in the UK. The billionaires rule here too while infrastructure crumbles and the poor get poorer. 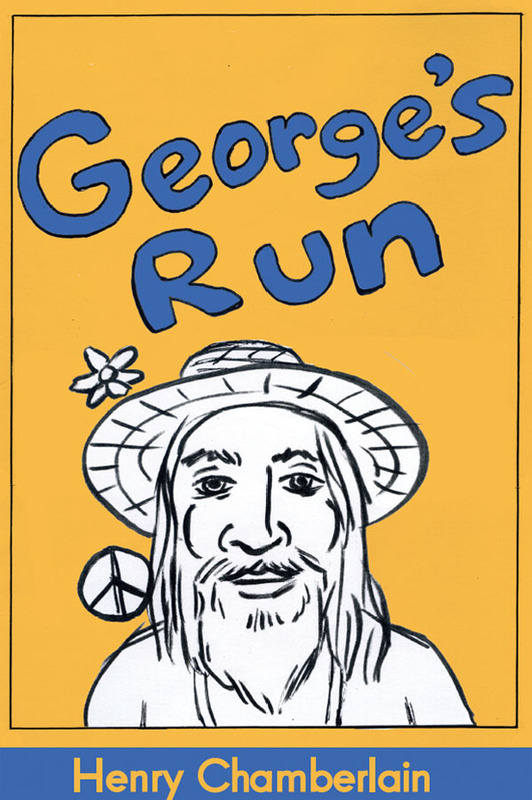 It looks like an excellent biography of an enlightened man and written by an astute and honest author. Anne, I believe that Bernie Sanders is the start of something new, a return to progressive values. Let’s see where we go from here.